“Lacteal fluid” is possibly the most disgusting way to say milk ever. 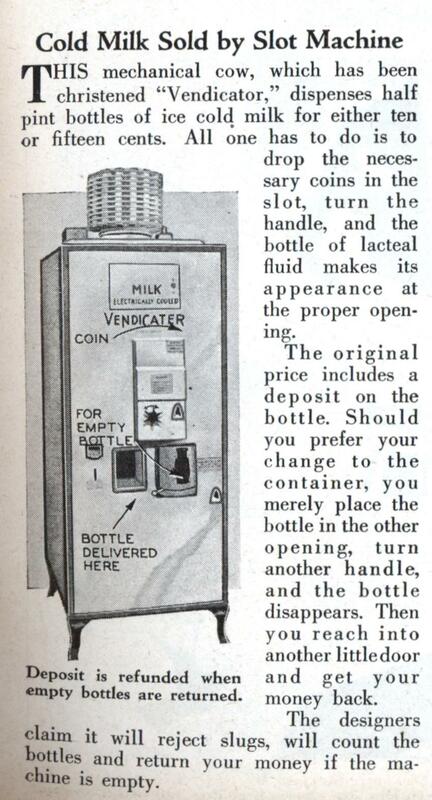 THIS mechanical cow, which has been christened “Vendicator,” dispenses half pint bottles of ice cold milk for either ten or fifteen cents. 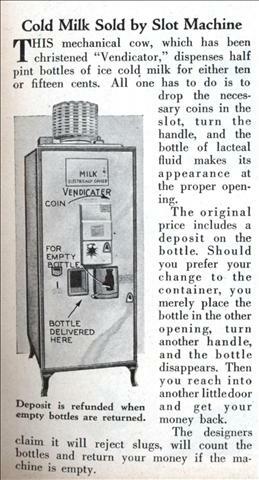 All one has to do is to drop the necessary coins in the slot, turn the handle, and the bottle of lacteal fluid makes its appearance at the proper opening. The original price includes a deposit on the bottle. Should you prefer your change to the container, you merely place the bottle in the other opening, turn another handle, and the bottle disappears. Then you reach into another little door and get your money back. The designers claim it will reject slugs, will count the bottles and return your money if the machine is empty. 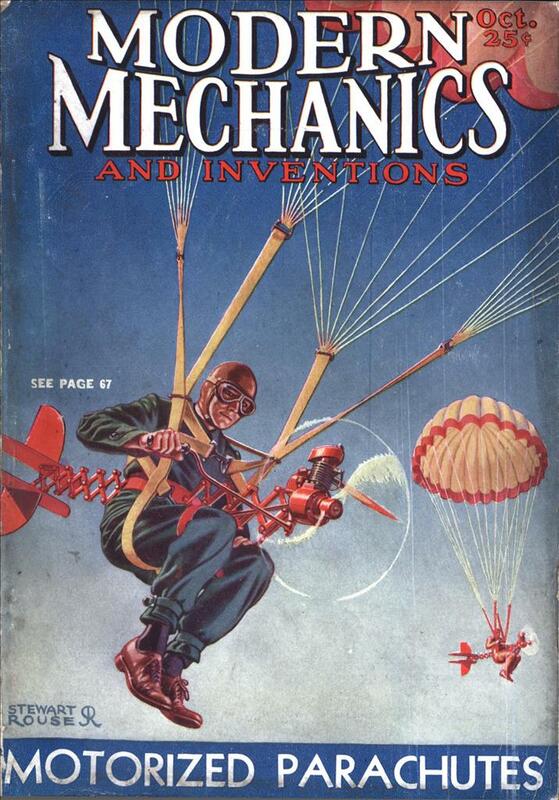 “Proteinacious modified sweat” wins the trophy, I think. I recall a nearby milk vending machine in the early 60s that dispensed paper quarts; we occasionally used it when the stores were closed. One time I put in my money and the machine kept dispensing, stopping at eight quarts. I walked home with an armload of containers! Still easier to use than acow.